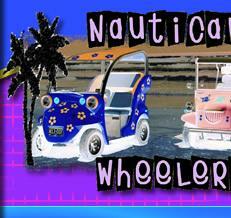 Nautical Wheelers, your source for fun, Island style. 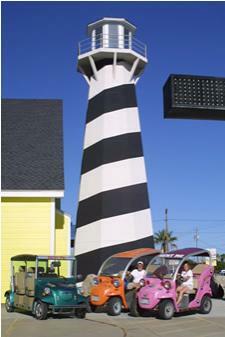 Nautical Wheelers in Port Aransas, Texas in the United States, features a new and fun way to cruise the Island. If you are looking for a mode of transportation to ?be-bop? 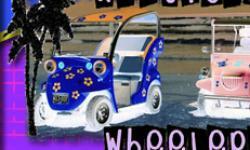 around the island that is fun and exciting, check out our electric ?beach buggies?. Travel in style in one of the colorful buggies at Nautical Wheelers that are not only stylish but are also environmentally friendly. For a drive through town or a leisurely trip to the beach, our buggies are fun for the whole family. If a ?beach buggy? is not your style, perhaps you?d enjoy a relaxing cruise down the beach on one of our beach cruiser bicycles, or a laid-back ride through town on one of our electric limos. 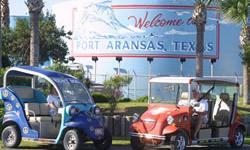 Either way, Nautical Wheelers in Port Aransas, Texas, has a mode of transportation to get you cruising, Island Style. 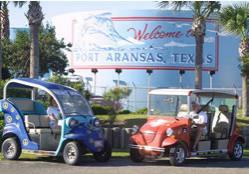 Port Aransas, Texas, is packed with fun stuff to do, and our electric buggy and bikes are just the mode of transportation that can get your there. Our open air beach buggies are perfect for your trek to the beach and they are just so fun to drive. Take an electric buggy or bike for a quick jaunt to the Birding Center. 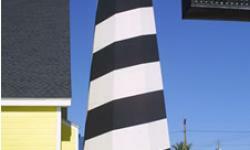 Take a stroll on the pier and see variety of birds and maybe even an alligator or two. Most days you can spot a dolphin or two in the Corpus Christi Ship Channel over by Roberts Point Park and sitting in one of our electric buggies gives you a front row seat. Want to go shopping but don't want to hassle with traffic, our electric limos will not only take you where you want to go but are easy to park and maneuver.